How To Boost Your Energy While Alleviating Stress! If you had the opportunity to be SMARTER, would you take it? If you could learn how to boost your ENERGY, would you do it? If you were told how you could experience HAPPINESS and sustain that happiness, would you listen? If you were shown ways of alleviating stress, anxiety and depression would you do it? If you had an opportunity to CHANGE YOUR LIFE so you could live happier, healthier, with more energy, less stress and a greater sense of self love, would you take it? In my past, I would have enthusiastically said, “YES!” to all those questions and then given my money to the most current course, gym or workshop. Ultimately it all failed because I wasn’t ready. I wasn’t committing to mySELF. I honestly don’t care how you get your natural endorphins as long as it’s legal, doesn’t do you or anyone else any harm and it is considered safe. As you know, I JOG to get my regular hit of happy endorphins. For me, the benefits of jogging are that I always feel so much happier, clearer in my thoughts and less stressed when I’m finished. It’s so great for my brain. I feel creative, smart and energized but best of all I feel a peaceful sense of wellbeing. Dancing! Groove, shimmy and shake it baby! If you aren’t a runner try something else, anything to get the heart rate up and the happy endorphins pumping. Other sports like soccer, tennis or volleyball are also excellent and provide a great social outlet as well. Meditation and Yoga can also influence your natural endorphins. This is an excellent way for those that can’t exercise due to injury or disease to benefit from the healing and happy qualities of endorphins. If there is a will, there is a way. Of this I believe. I passionately pursue a lifetime of activities that release endorphins because they make my brain happier and my body stronger. Today, choose YOU. 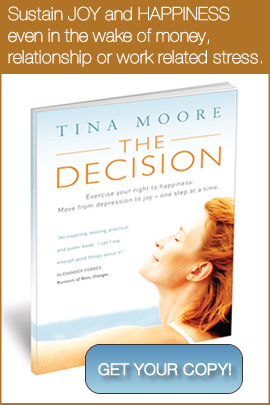 Choose to create a better life where endorphins are your drug of choice. Choose natural endorphins over a bag of potato chips, a glass of wine, or an argument. Boost your energy while alleviating stress. Make endorphins your life choice. Wishing you a lovely first weekend of December! EnJOY your loved ones. EMBRACE the moment. See you on Tuesday!